Muses on Sustainable design by architects in Kenya. The subject of sustainable design is now a hot debate among architects in Kenya who are interested in doing buildings that respond to worldwide trends regarding green design. Various elements of sustainable design are to be considered for the building to appear sustainable. Within Kenya, there are various buildings that have come up with an effort to seeking worldwide recognition and international certification, including LEED certification from the USA. All these efforts towards sustainable design are a step in the right direction. 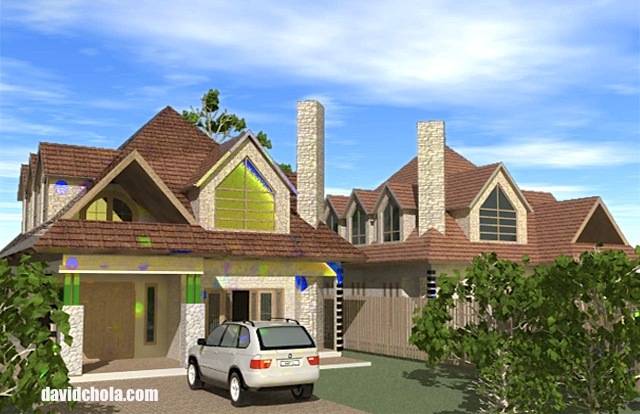 Sustainable design by architects in Kenya. When an individual is to interrogate keenly what consists of a green building or a sustainable design, several elements come to mind. Green building in itself may consider the elements of environmental design and construction that is done in an environmentally friendly way, as well as ensuring that factors that affect human habitation and comfort within the building are taken care of. However sustainable design as a term goes farther, encompassing broader issues beyond building matters, and including things such as economic longevity, social impact, and other ‘soft’ issues that are a bit more difficult to enumerate. Architects in Kenya are encouraged to think of these things in the course of creating designs and conceiving building projects and advising clients. With this in mind, it may be a bit difficult for an individual to properly conceptualize how to bring all these concepts of sustainable design to the grassroots level. 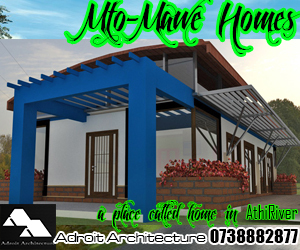 When it comes to construction of simple functional house designs that are sustainable, architects in Kenya are well placed to influence how sustainable design can be adopted to fit into our own local context. There are various areas of interest that can be used to approach sustainable design. 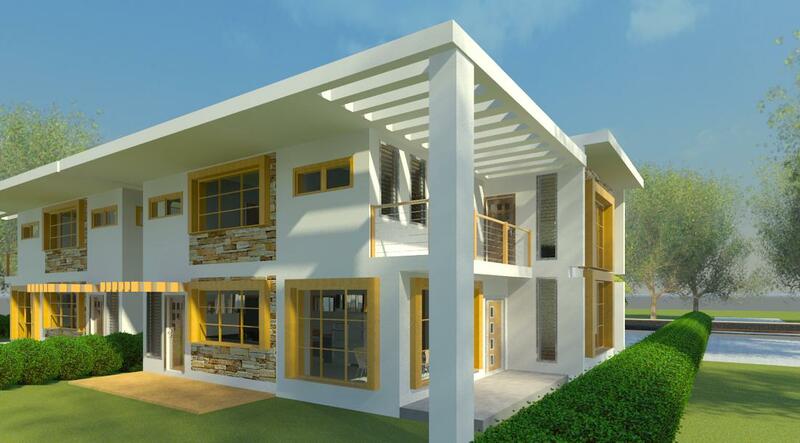 This green design can be achieved from a very rudimentary level when it comes to construction matters. It is not a recluse of the wealthy. Rather, sustainable design is even more pronounced when it responds to the culture and society in which it is being carried out. When architects in Kenya are able to make a design suit properly to its environs, while also responding to the needs of the client and society in which they live, that design can be said to be truly sustainable. Case in point, it may not be sustainable to place a modern five story building with glazed windows and modern serviced escalators and crisp commercial interiors in a location which is surrounded by grass thatched houses and with an adverse climate conditions. In addition, the character of buildings and most importantly the ability of a client to maintain the final built product that has been designed by architects in Kenya must be carefully considered. It would not help for a great building to become rundown in a couple of years, simply because it was too sophisticated for its users to maintain. 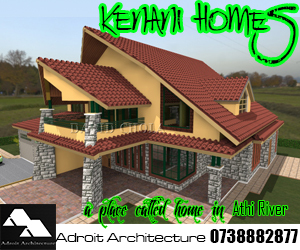 Finishes are an important part of buildings that architects in Kenya must contend with. It is this element of building that makes clients’ part with considerable resources towards the end of the building process. However, it is necessary for those involved to think carefully about the lifespan of the building and those who will use it after it is completed when making decisions about finishes. Whether it be floor finishes, ceiling finishes or wall finishes, these are the areas with which users of the space will continuously interact with. For example, in high traffic areas, architects in Kenya need to make a choice of finishes that will not be affected by long term exposure to human movement and activity. Finishes selected for these areas need to be resilient and not require too much input for them to maintain their appearance and integrity. An interesting example is the (Automated Teller Machines) ATM walls in bank premises. These are commercial spaces that have lots of individuals coming in and out of them. As users await to access the ATMs they lean on walls, shuffle on their feet, all as they await their turn in line. Inevitably should the wall finish be of simple plaster and paint, it is inevitable that these become decolorized and soiled, and become unattractive within a very short time. This calls for repainting within short time spans should the bank desire to maintain a prim corporate feel on its premises. However a simple decision by architects in Kenya to select ceramic wall tiling that does not hold this kind of dirt and is resilient in appearance makes for a huge change when it comes to maintenance matters. Such a finish in high traffic areas makes a big difference as it means that they do not need to receive as much attention as in the previous example. Another case may be illustrated in disciplines that work together with architects in Kenya such as civil engineering. 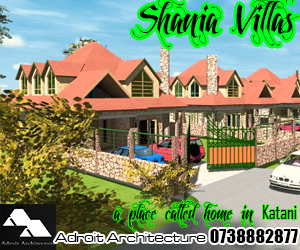 When a site plan is designed by architects in Kenya, normally civil engineers would be responsible to create details of the storm drainage and runoff systems that would be had on site. Should this not be taken care of and water fails to move as dictated by the site topography and intended design of the architect, it may necessitate human intervention to physically force the water to move to a drainage channel or water point. This calls for an unsustainable practice whereby one is forced to employ an individual to sweep storm water to a drain somewhere, rather than it running naturally to water collection and drainage points throughout the site. With these examples in mind, architects in Kenya are encouraged to ensure that other services that work together with core architecture and design services are properly integrated and worked out sustainably. It would beat the purpose for a design to be well conceived and end up failing with regard to its support infrastructure and ancillary facilities. Considering the foregoing, it is vital that architects in Kenya think, design and implement projects sustainably.